Scroll down for pictures & technical details on the blades. 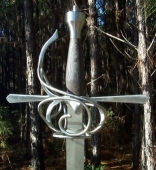 Material - the variety of steel used in the making of this blade. 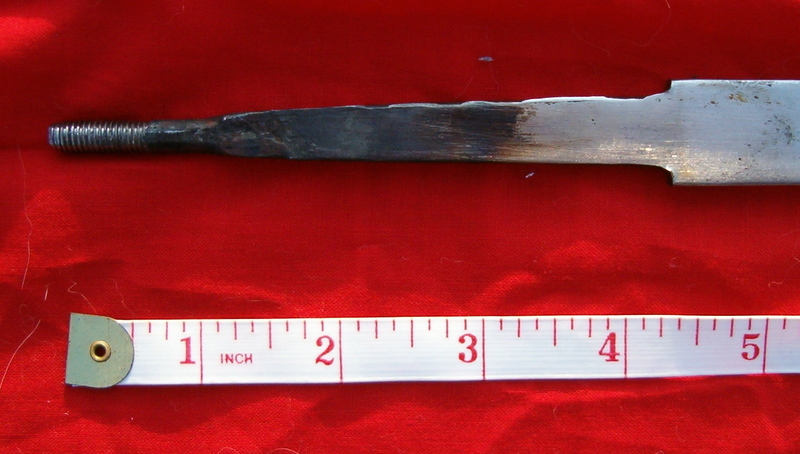 Length - The length of the blade NOT including the tang. Tang length - The length of the tang. 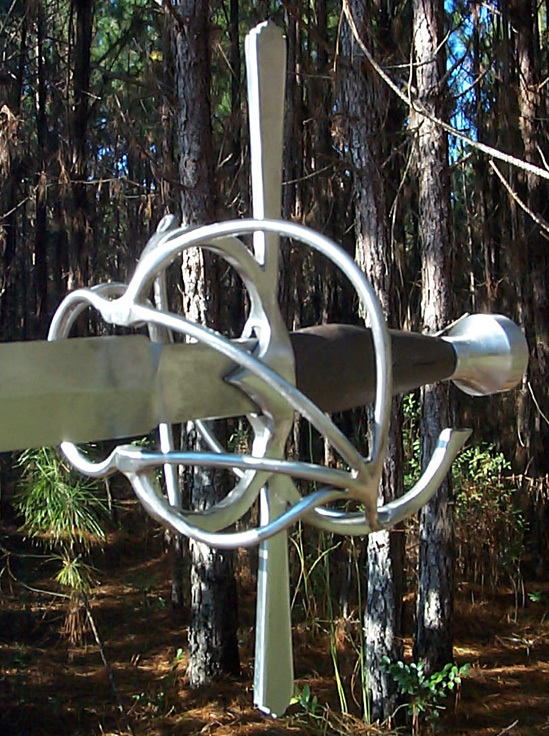 Ricasso length - The length of the non-edged, flat profiled portion of the sword beginning from the tang. Profile taper - The width of the blade measured at the beginning of the ricasso to the width of the blade measured at the tip of the blade immediately before any rounding of the tip. Distal taper - the thickness of the blade measured at the beginning of the ricasso to the thickness of the blade measured at the tip of the blade immediately before any rounding of the tip. 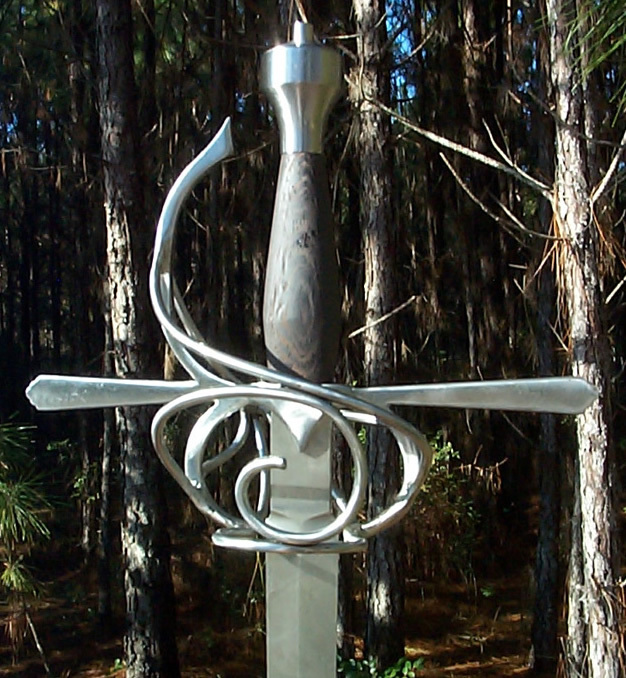 Balance Point - the balance point of the blade. The balance point is determined then the measurement is taken from the beginning of the ricasso to that point NOT including the tang. Facts - additional facts that do not fit into the previous items. Opinions - opinions of various people about the blade(s) in question. Please feel free to send me your own opinions and they will be added without attribution (unless requested). NOTE: all measurements, etc. are taken off of naked blades. 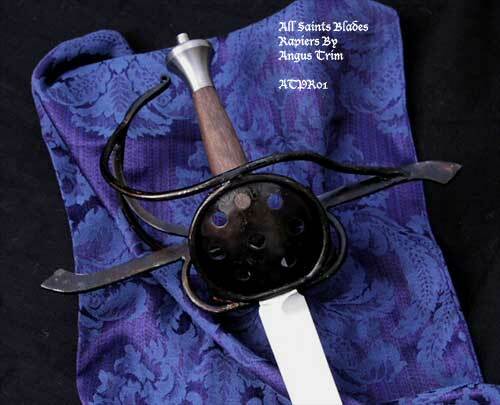 NOTE 2: Most of these blades (if not all) are hand forged and thus no two blades will ever be identical. Every statistic printed here is from a representative blade (or two)and must therefore be taken with the proverbial grain of salt. 40" : 3/4" -> 1/2"
40" : 7/32" -> 5/32"
40" : 41.5% or 16 3/4"
40" / 35" / 31"
40" : 7/8" -> 3/8"
This blade has no distal taper, maintaining the same thickness throughout. 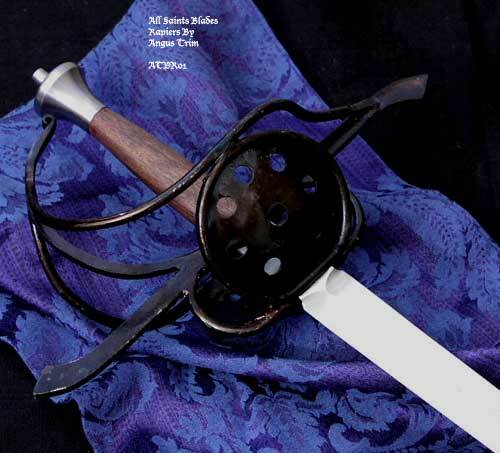 Flat tang blades require a a custom pinned pommel. Blade has a button tip. Profile Taper: 43" : 1 1/4" -> 3/8"
37" : 1 1/4" -> 3/8"
43" : 3/16" -> 3/32"
37" : 3/16" -> 3/32"
43" : 32.4% or 13 7/8"
37" : 31.9% or 11 3/4"
The Hanwei Practical Rapier series swords and blades may also be seen as "Paul Chen", "CAS Iberia", or "C.A.S. 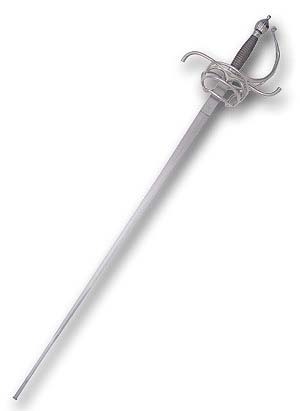 Iberia" Practical Rapiers. 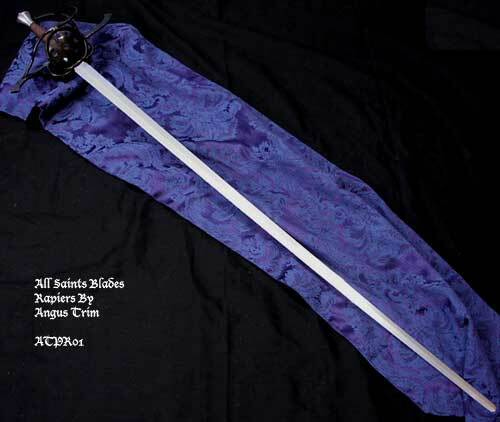 This blade is the cheapest entry into the heavy fencing arena, and a complete rapier can usually be found for around < $120. 45" / 42" / 39" / 37"
4 1/4" - 4 1/2"
Flex Min/Max: 6.5 / ?? This blade is no longer manufactured. Steel is an alloy of iron that must contain Carbon. it is the most important hardening elementOther elements may be added for specific applications. Carbon The most important element which increases the strength of the steel, and without a high enough percentage, alloy would not harden. Designation First numbers - 10 means plain carbon steel, any other number designate alloy steel. 50xx serie is a chromium steel. Designation Last numbers of a steel specify the steel's carbon content = 1095 has 0.95% carbon. 52100 has 1.0% carbon. 5160 has 0.60% carbon. Chromium - Gives the alloy it corrosion resistance, forms chromium carbides for wear resistance, and hardenability. Stainless Steel - is a steel with at least 13% chromium. The first 11% disolves and form carbides, left over are your rust resistance. Higher the %, more free chromium, more rust resistance. All stainless steel alloys can rust, they are only rust resistant, not rust proof. As with plain high carbon steels, proper blade maintenance is needed, though not as much. Manganese - Manganese helps the grain structure, and contributes to hardenability. Also strength & wear resistance. Improves the steel (e.g., deoxidizes) during the steel's manufacturing (hot working and rolling). Present in most cutlery steels except for A-2, L-6, and CPM 420V. Molybdenum - Forms carbides, prevents brittleness & maintains the steel's strength at high temperatures. It is added to many steel alloys, to enable them to harden in the air. Nickel - Enhancer for strength, corrosion resistance, and toughness. Present in L-6 and AUS-6 and AUS-8. Silicon - Increases strength, and wear resistance. Like manganese, it makes the steel more sound while it's being manufactured. Tungsten - Increases wear resistance. 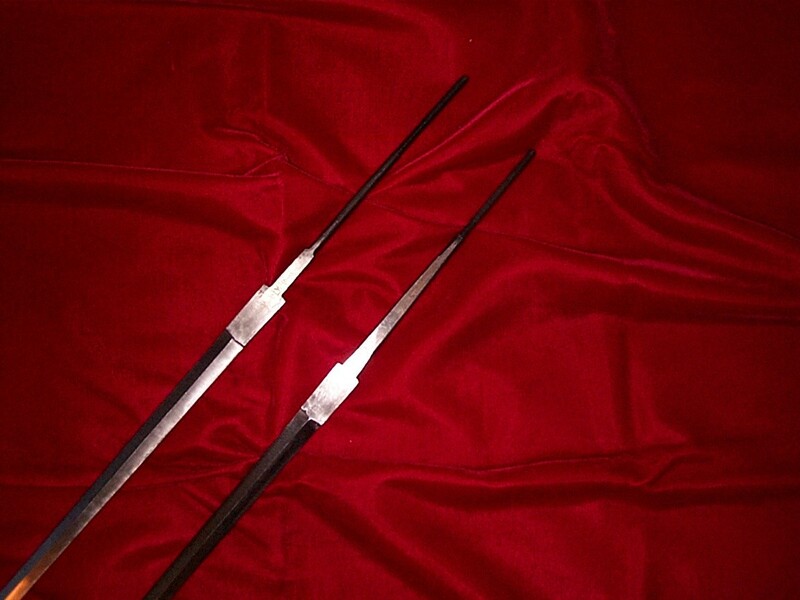 When combined properly with chromium or molybdenum, tungsten will make the steel to be a high-speed steel. The high-speed steel M-2 has a high amount of tungsten. Vanadium - Forms finely structured carbides to enhance wear resistance and hardenability. A number of steels have vanadium, but M-2, Vascowear, and CPM T440V and 420V (in order of increasing amounts) have high amounts of vanadium. BG-42's biggest difference with ATS-34 is the addition of vanadium.